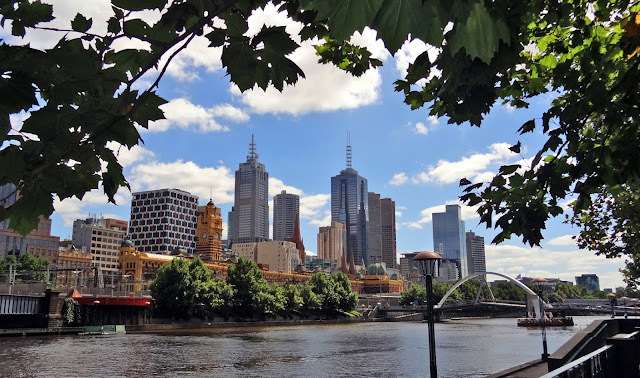 Melbourne City Centre (sometimes referred to as "Central City", and colloquially known as simply "The City") is an area of Melbourne, Victoria, Australia. It is the area in which Melbourne was established in 1835, by founders John Batman and John Pascoe Fawkner, and its boundaries are defined by the Government of Victoria's Melbourne Planning Scheme. Today it comprises the two oldest areas of Melbourne; the Hoddle Grid and Queen Victoria Market, as well as sections of the redeveloped areas of Docklands and Southbank/Wharf. It is not to be confused with the larger local government area of the City of Melbourne. It is the core central activities district (CAD) of Melbourne's inner suburbs and the major central business district (CBD) of Greater Melbourne's metropolitan area, and is a major financial centre in Australia and the Asia-Pacific region. The Hoddle Grid in the City Centre is home to Melbourne's famed alleyways and arcades and is renowned for its distinct blend of contemporary and Victorian architecture as well as expansive parks and gardens which surround its edges. The City Centre is home to five of the six tallest buildings in Australia. In recent times, it has been placed alongside New York City and Berlin as one of the world's great street art meccas, and designated a "City of Literature" by UNESCO in its Creative Cities Network. Nice photo - I like the way the leaves frame the shot. Beautiful Melbourne! I was there last August as part of our honeymoon tour around Australia and fell in love with the city! How interesting, as Lydia said. Indeed I have to wonder why UNESCO gave it that title. Thanks for sharing.